Do you need to take your knives with you? This handy knife kit gives you all the basics you will need when away from your kitchen. Wusthof has been making the finest knives in the world for over 190 years. Through excellent craftsmanship and engineering, the Classic knife line has become one of the best-selling in the world. 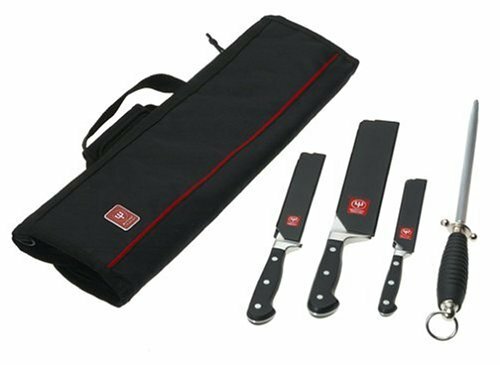 This 5-piece pro-chef kit includes a 3-1/2-inch paring, 5-inch boning, 8-inch cook's, 10-inch steel and a cordura knife roll.